Step 1 - Sign into Facebook. Before you do anything else, make sure you're already signed into Facebook. If not, open a new window or tab in your preferred internet browser and sign into the Facebook account you wish to connect to Groovv Offers. 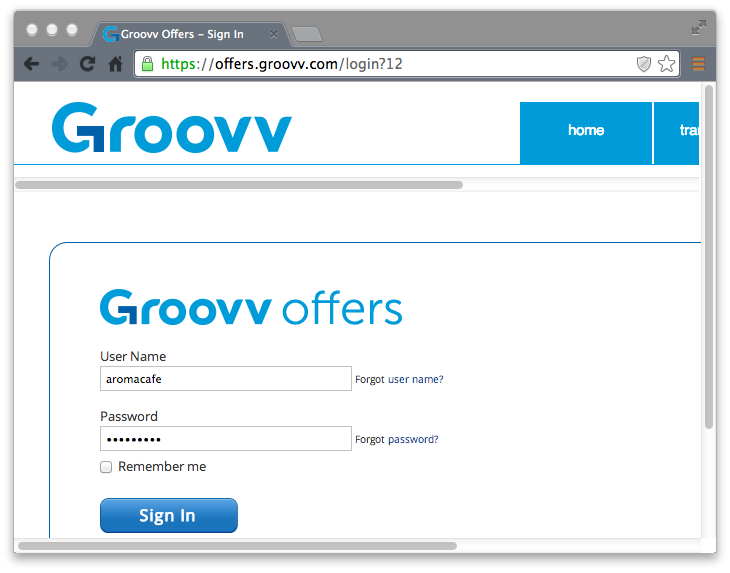 Step 2 - Sign In to your Groovv Offers account. 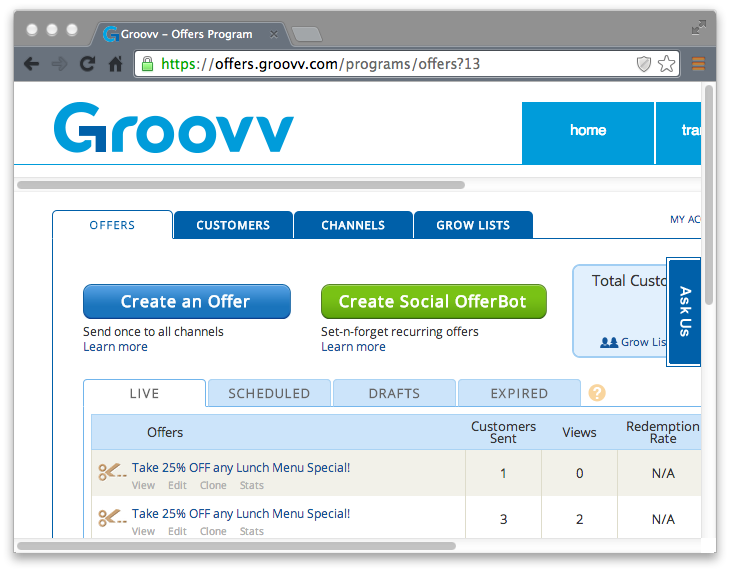 Step 3 - From the Groovv Offers home page, click the Channels tab. *NOTE: In order to link Facebook to Offers you can go to the Channels Tab and there is an option to Link Facebook. Click link button and make sure your "pop up" block is off. 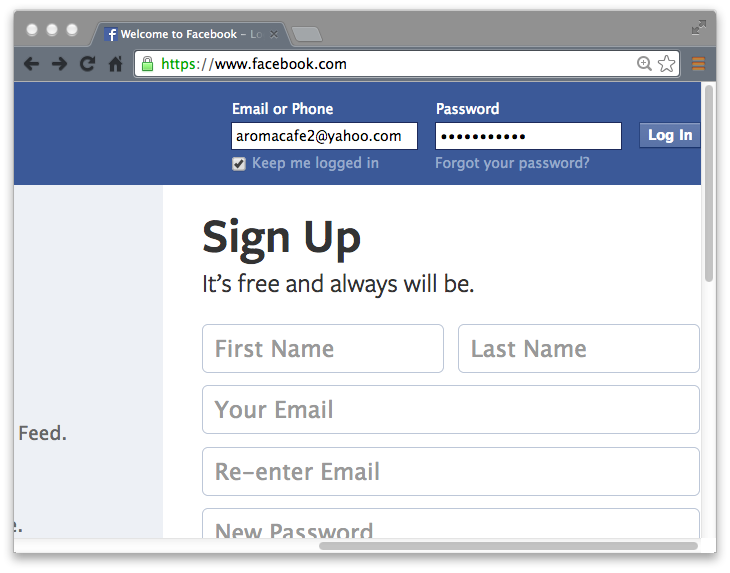 If you're not logged into Facebook, another window will pop up asking you to log into Facebook. Step 4 - From the Channels tab, click the +Add Facebook button. Step 5 - Facebook Permissions for Groovv Offers. This initiates three pop-up windows. Briefly turn off your browser's pop-up blocker if you don't see the pop-ups. Facebook is ensuring that you are giving Groovv Offers permission to access your Facebook profile, post (offers) to your news feed on you behalf, and manage your Facebook pages. 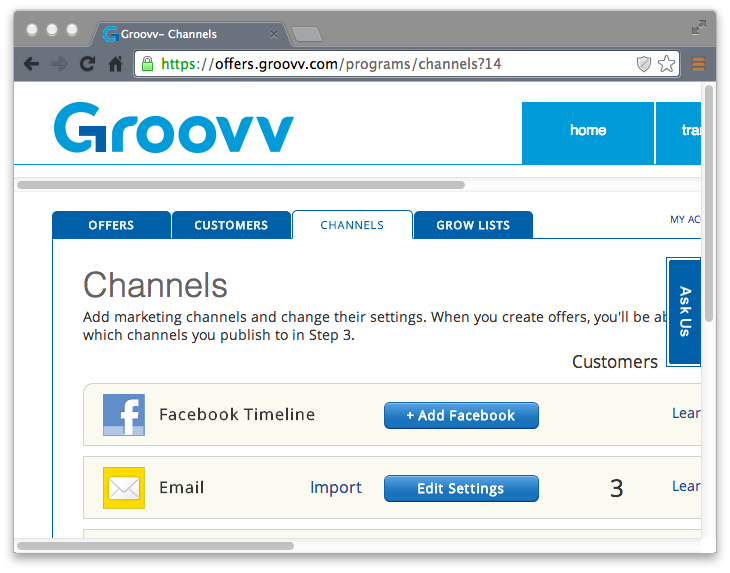 Click the Okay button for all three permissions pages, or you will not be able to properly publish Groovv Offers to your Facebook page. Step 6 - Customize your Facebook Timeline. 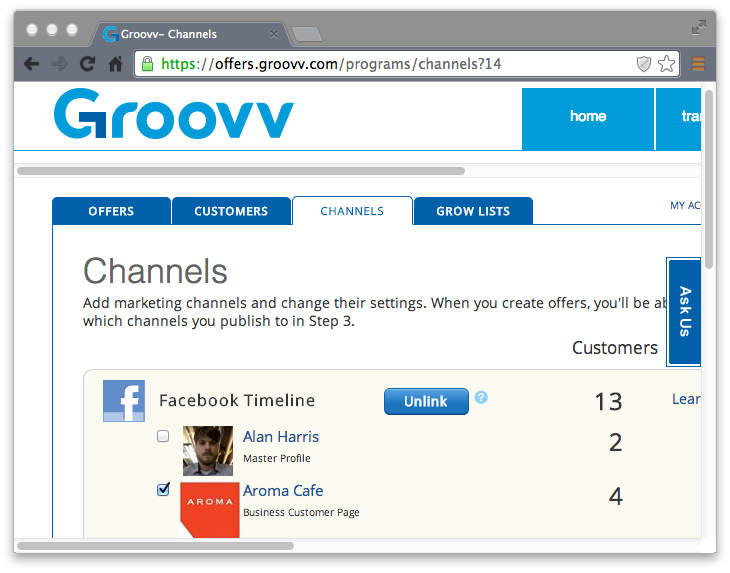 Groovv Offers automatically links to your master (personal) profile, as well as any Facebook page(s) you manage. If you do not wish to publish offers to your personal profile or non-business pages, simply uncheck the box next to each page and then click the Save button to update. Presto! You're done linking to Facebook.